Wonderful large lithograph by Olive Fell (1896 - 1980). 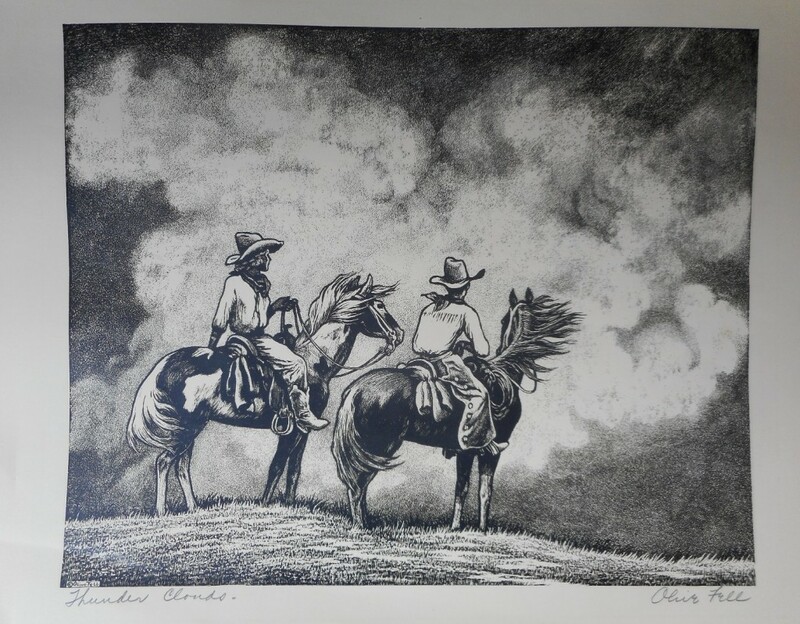 Hard to find image of two Wyoming riders, a cowboy and cowgirl, on a ridge during an oncoming storm. Signed in pencil, lower right, and titled in lower left corner. Circa 1940. Measures 10" x 12.25". Unframed.